Creative Industry Košice (CIKE) supports people in the cultural and creative sector to become professionals, opening international markets, educating them and creating conditions for cooperation with the private sector and its involvement in the cultural life of the city. Creative Industry Kosice is a catalyst for creativity in Slovakia. CIKE’s team has a shared vision to make Košice a place where it is worth living because of the quality of the culture, creative environment and innovation in all areas of life. CIKE aims to achieve this vision through the education of talented individuals and cultural institutions, increasing their international profile, for example by providing foreign trips, mobility and residential programmes. CIKE’s activities also includes the creation of favourable conditions for cooperation with the private sector, and its involvement in the cultural life of the city. It also helps the city and region develop policies and sustainable regional development through its consultancy and advice on strategic documents. 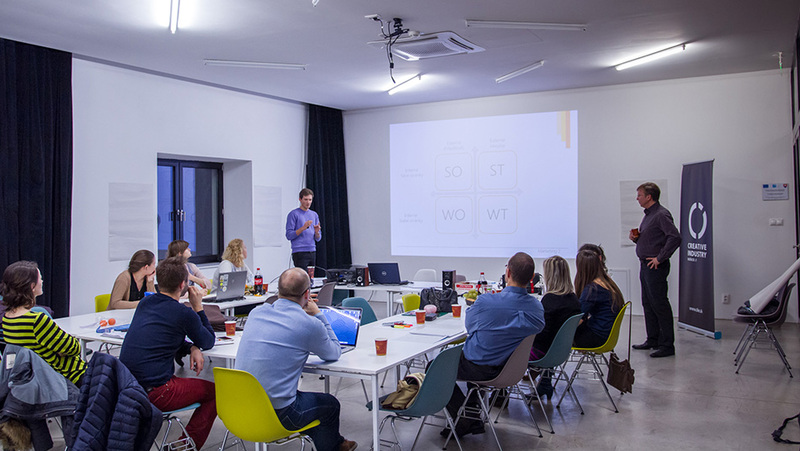 Creative Industry Košice is in charge of designing of an online knowledge-based platform and development and testing of a Creative Benchmarking System. The team is producing a joint graphic framework to be used by all partners, a project website that features all the events, the benchmarking tool as well as other digital tools. With the website and knowledge base as a common reference, we will build up a community around learning, experimenting and improving business models and encourage a peer-to-peer support among cultural players, both online and offline.